ElastoSens X3 I Rheolution - Rheolution Inc.
Touch screen monitor for an easy and intuitive interaction with the instrument’s software. Detachable sample-holders allowing to monitor mechanical changes of samples over long time periods. Samples may be stored, for example, in a fridge between tests. Vibration based new technology to test viscoelasticity of soft food materials without contact and non-destructively. Regulated thermal chamber to control temperature of samples during testing. In today’s world, the public is asking for more natural and healthy foods using less sugar and fat and with more natural ingredients. The food industry is trying to respond to this demand but is facing multiple challenges that threaten its financial health. Global free-trade agreements are making competition harder between manufacturers to preserve market shares in an industry characterized by low margins and high operational expenses. In this challenging context, food texture has a significant impact on the customer’s perception of quality. These ever more stringent customer demands create challenging manufacturing conditions affecting profitability. There has been a lack of dedicated technologies to help the food industry deal with these challenges. The food industry still does not efficiently control the textural quality of food products during formulation and production. The current instruments used for textural analysis in the food industry are costly, require highly skilled users and are unsuitable for routine quality control. Moreover, lower cost non-qualitative instruments, such as penetrometers, lack specificity and repeatability. 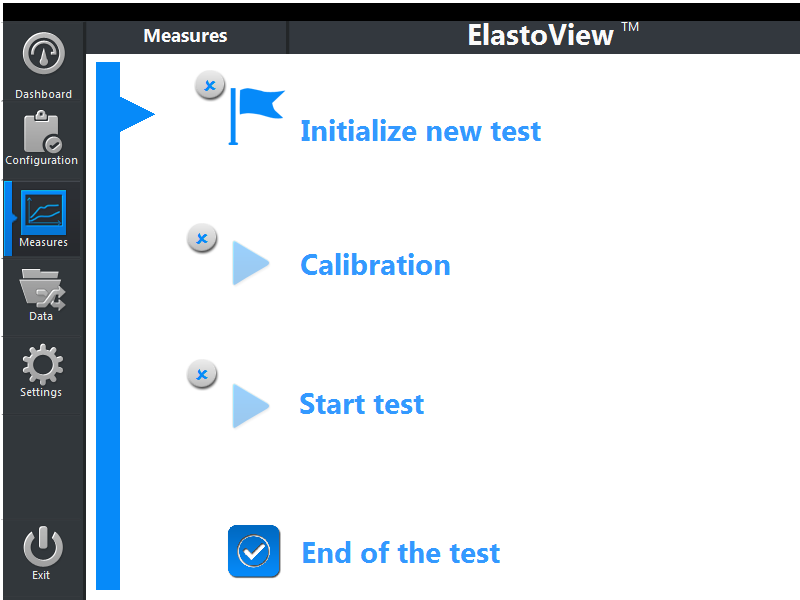 To respond to these major limitations, Rheolution has developed ElastoSensTM X3, the first QC and process-control lab instrument that is cost-effective and allows for real-time measurements of soft food viscoelasticity (texture). ElastoSensTM X3 non-destructively measures fragile materials and monitors/predicts changes in elasticity during the liquid-to-solid phase transition of food products. It is used to test food and dairy products in QC, R&D and process control. 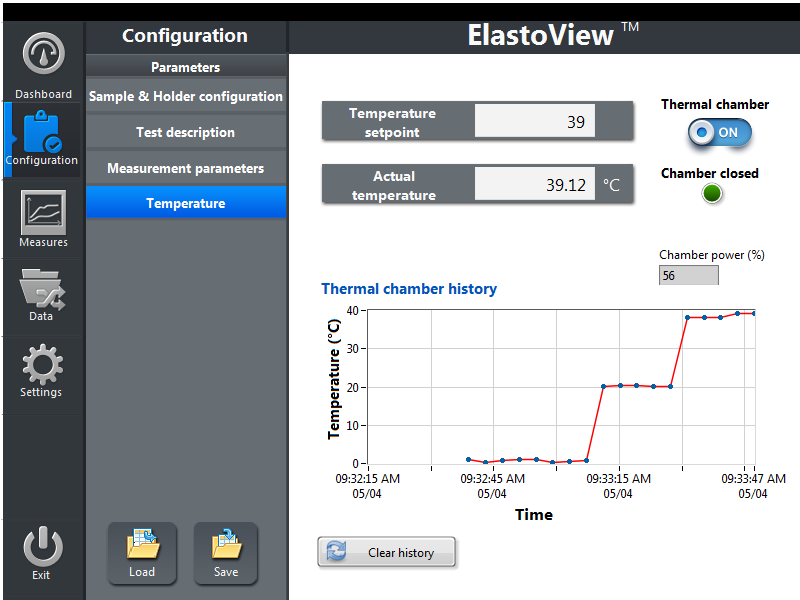 Real time data provided by ElastoSensTM X3 helps you react quickly and reduce production costs by optimizing consumption of raw materials without compromising on the textural and nutritional quality of food products. The use of ElastoSensTM X3 in routine QC also results in operational costs savings (OpEx savings) since no expertise is required to exploit the data and operate the equipment. 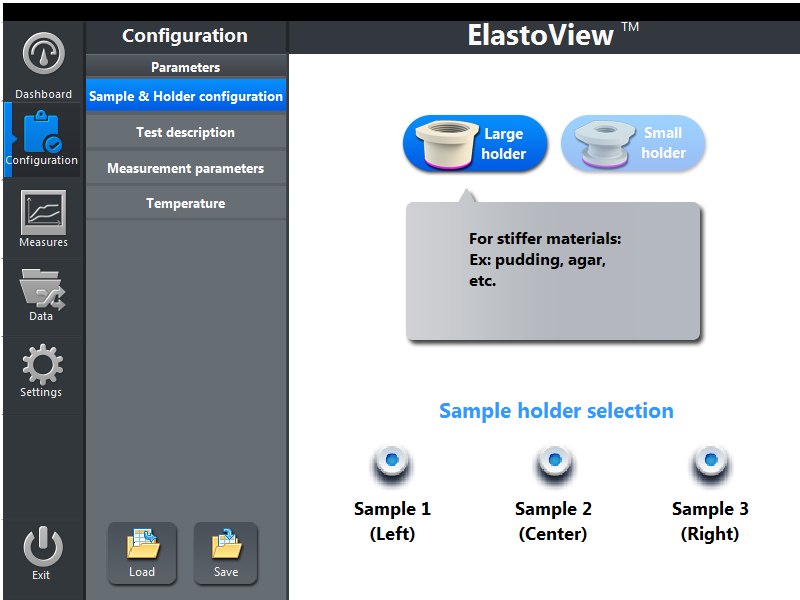 ElastoSensTM X3 measures elasticity of food materials during phase transition from the liquid to the soft solid state. 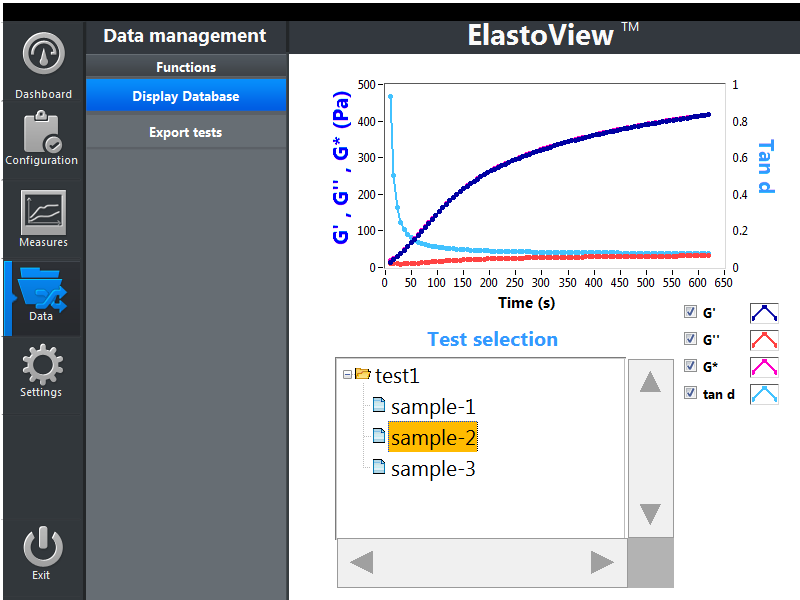 ElastoViewTM software displays in real time gelation kinetics data that can be extrapolated to predict final elasticity of the samples. This is a very useful feature for the food industry because it allows anticipating final product quality in early stages and to adapt quickly the production parameters in order to reach desired textural properties. 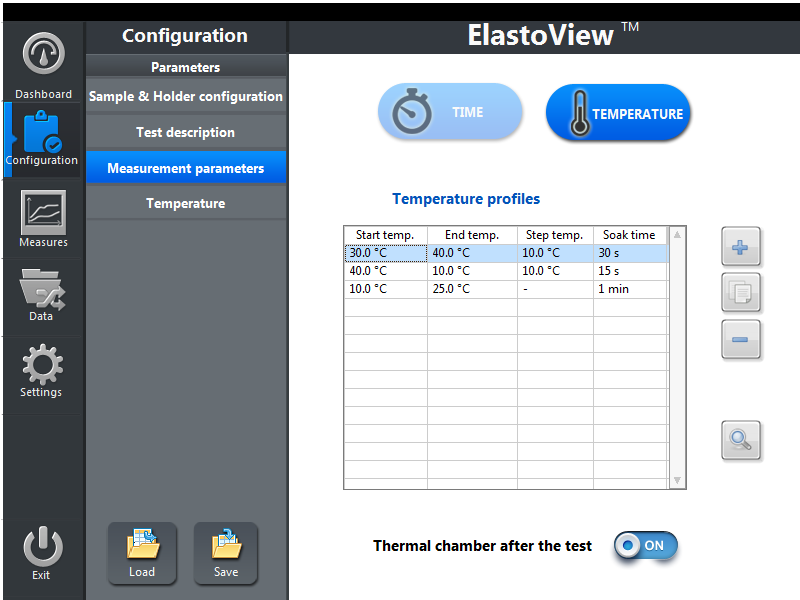 ElastoViewTM is the user-friendly and intuitive software that runs ElastoSensTM X3. 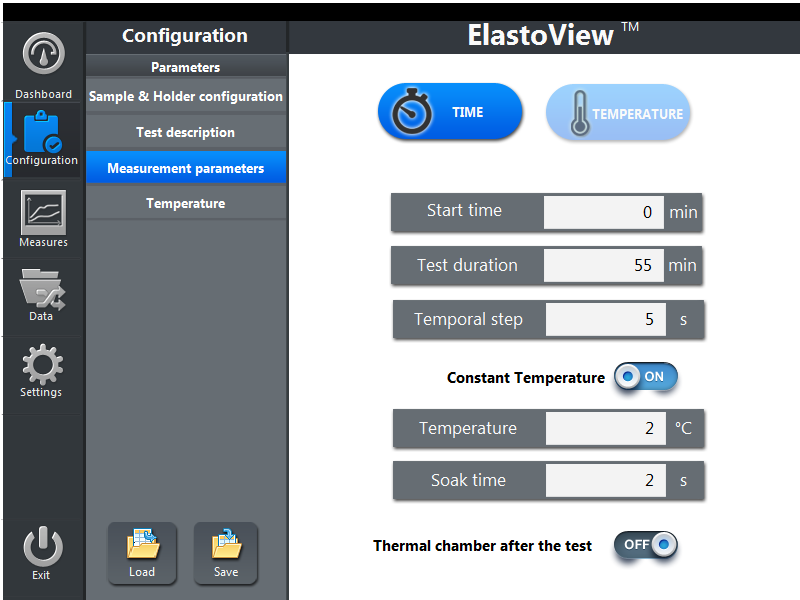 This software has been designed for food technologists that are not necessarily experts in the field of rheology. 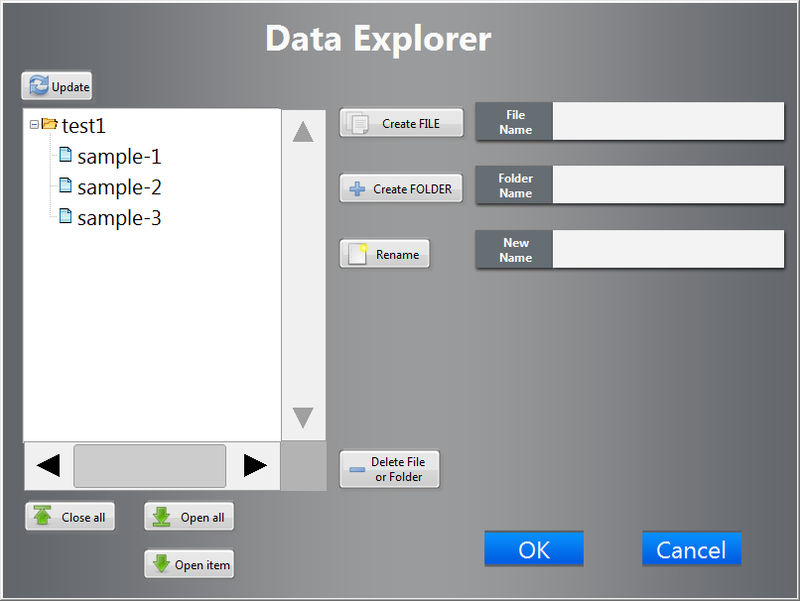 It is easy to export data from ElastoViewTM in Excel format. The excel report includes measurement parameters and comments that have been saved by the user. 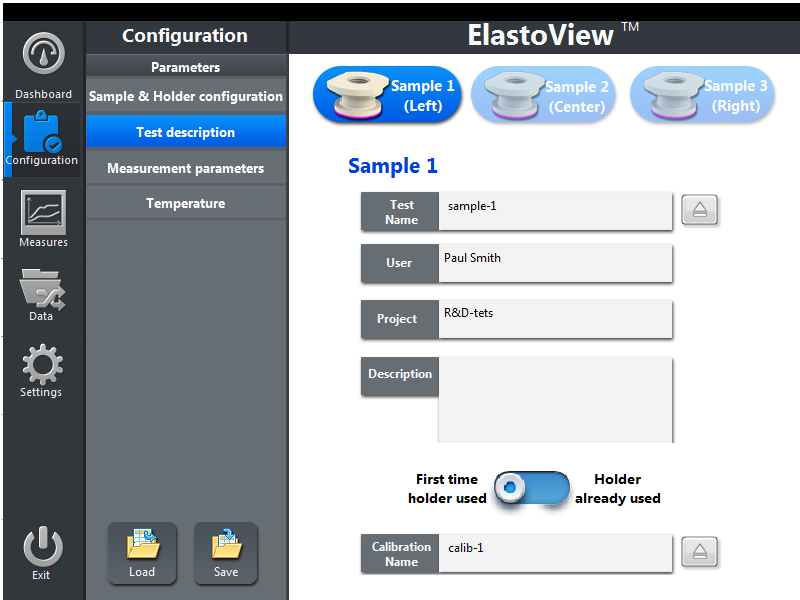 The software also stores a database of all performed experiments so that user may quickly retrieve and compare archived measurements. 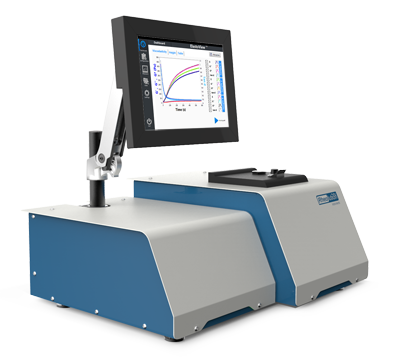 ElastoSensTM X3 is a mechanical testing instrument that offers real time, contactless and non-destructive measurement of soft foods and gel products viscoelasticity as a function of time or temperature. Measurements of kinetics can be fast (few minutes) or slow (few days) and are performed on a single and unique sample contained into a detachable sample holder. 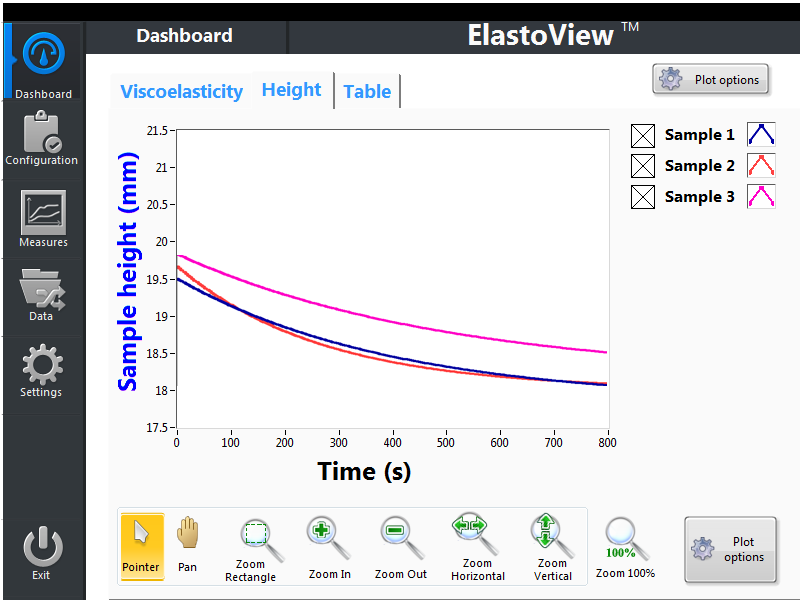 As opposed to rheometry and indentation technologies, ElastoSensTM X3 uses vibrations to non-destructively measure viscoelasticity without any contact. ​The patented technological principle behind ElastoSensTM X3 is purely mechanical. A small amount of gel is poured (in its initial liquid state) into a cylindrical disposable cuvette having a flexible bottom membrane. A small and gentle vibration of only a few micrometers is applied to the sample triggering a slight perturbation in the sample creating a response signal. This response signal is measured without contact by a laser probe. The sample’s response is processed using specialized models to obtain the storage and loss parts of the gel’s Young modulus. This process is continuously repeated depending on the number of measurements, time and temperature steps, which are selected by the user. Physically, once the sample is poured into the detachable cylindrical sample holder, the material and the flexible membrane will strictly remain in contact to form a composite and soft body able to react to external vibrations. This is made possible thanks to the mechanical flexibility of the membrane. When a test is started, a low frequency-amplitude vibration is transmitted to the sample holder firmly attached to the vibrating unit. The composite body formed by the sample-membrane system freely vibrates in response to this dynamic excitation. The only unknown variable in the system, the viscoelasticity, can be deduced since all other parameters are known. The composite body’s vibrational response to the stimulus are affected by the material’s viscoelasticity, a physics which is exploited by ElastoSensTM X3 to measure the sample’s during a phase changing kinetics or at a steady physical state.